Mark Pringle specializes in aircraft service and maintenance, and has extensive experience building experimental aircraft, and adapting solutions for efficient problem solving. Mark was versed in the world of engines, mechanics and aviation at a young age and followed that path serving ten years in the United State Airforce. As a staff sergeant, he served as a crew chief on the B-52 Stratofortress and the F-16 Fighting Falcon. 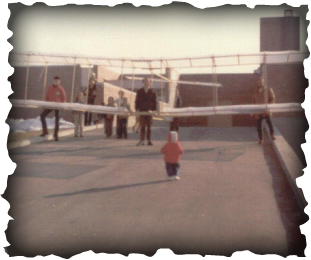 Following his honorable discharge, he continued his aviation career with maintaining, building, flight testing experimental aircraft, and instructing. Since 1993, he has built over ten aircraft in his name, taught dozens of student pilots, and has overseen well over 150 experimental aircraft builds. In 2002, Mark opened West Desert Airpark which he currently owns and operates. Mark currently holds an FAA Repairman Light-Sport Aircraft Certificate; is Rotax Heavy Maintenance Certified. And holds, and uses, the privileges of his private pilot certificate.